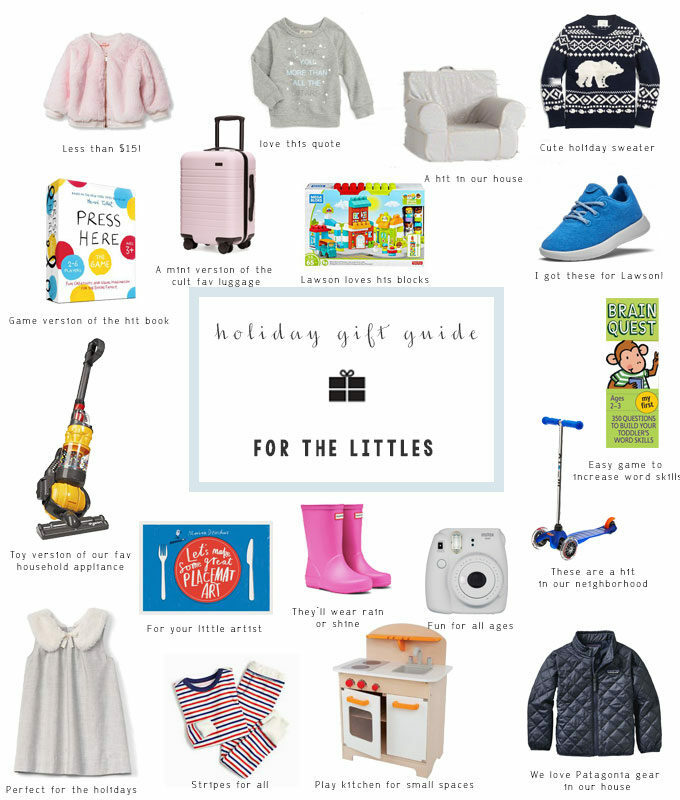 Today’s gift guide is for those cute little peanuts in our lives! I tried to cram as many of the best holiday gifts for kids into this post. I could have done a whole week of posts for kids. There are such good toys and clothes for all ages. Lawson and Sybil LOVE their chairs. It’s a great gift idea for ages 1 and up. I bought Sybil this jacket (it’s less than $15 and absolutely adorable) and dress to wear during the holidays with this shirt and navy knee high socks. Don’t tell him but Lawson is getting these pajamas, sneakers, blocks and scooter for Christmas. 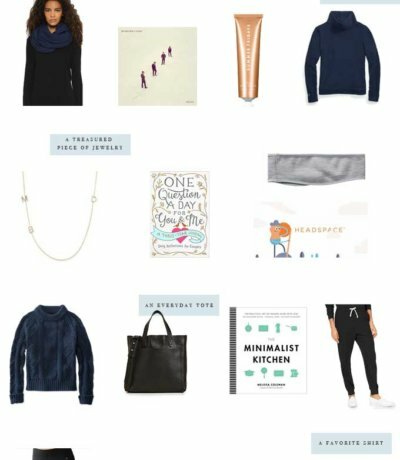 Add a book and I’m finished shopping for him already! I really wanted to get a kitchen set for them this year, but we don’t have enough space in our apartment and I figured it would get banged up when we move next year anyway. They love to “help” me in the kitchen and have loved playing in the kitchen at different children’s museums. If you have the room, this is a great gift for toddler boys or girls! How cute is this little dyson vacuum for kids??? Such a cute idea for the little helpers in your life. By the way, this dyson cordless vacuum is my favorite household appliance. I’m not normally one to suggest giving household items as gifts, but this one is that good. What’s on your little ones wish list this year?